Cabbages and kale and carrots are all finally growing. Whether the weather holds long enough to allow all of them to reach a nice maturity/harvest size is yet to be known, but we’re hoping for the best. We finally harvested carrots for half of our CSA members last week. Whoo hoo! Later and smaller and fewer than we’d anticipated, but finally some carrots to eat. It really does look like more carrots will be in our future. 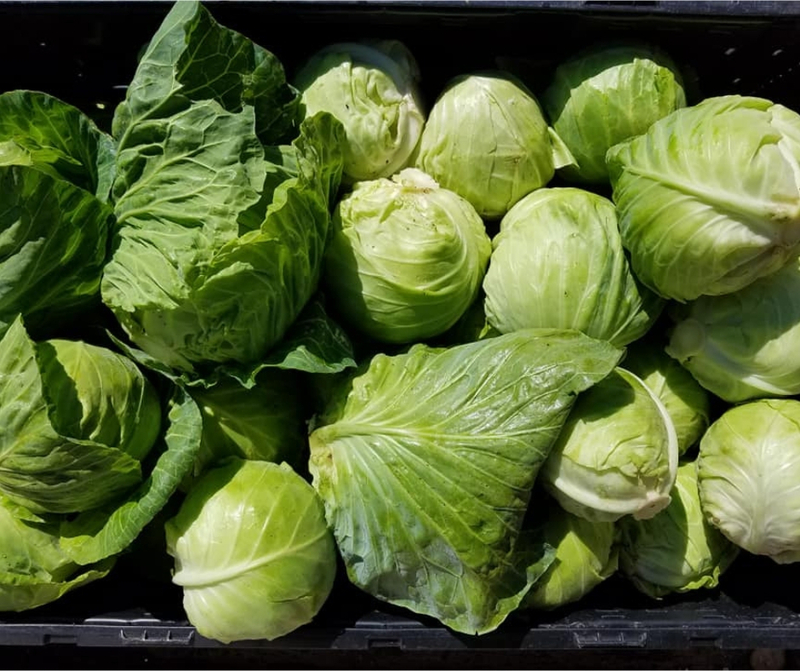 The cabbages we harvested for CSA members this past week are best described as “adorably petite.” They are fine the way they are, but they are not the size we’d intended them to be! They were badly damaged by the September heat and rain, but they have brought some slaw to our table. Here’s hoping the next round of cabbages are able to fully grow. 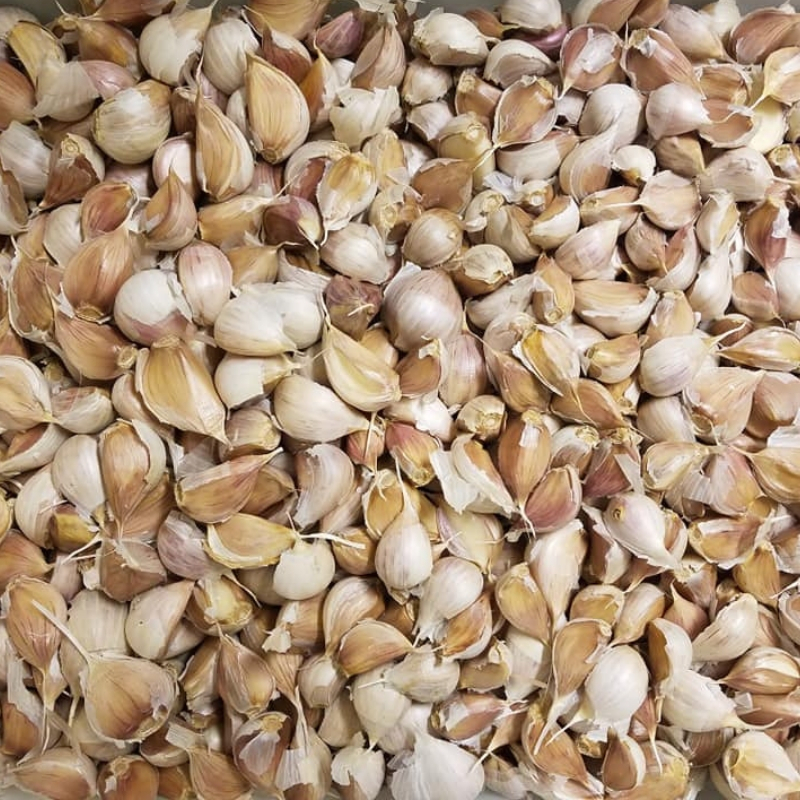 Garlic is going in the ground this week. It will grow all winter and spring and grace our CSA shares and market table next June. Sign up for our 2019 Farm Shares is now Open! If you’ve been following our recent email newsletters, you’ve read that we have made a big change for 2019. We’re now using a Farm Share management software called “Harvie,” which allows members to customize their shares from us. We’re excited to finally be able to find out what each member wants more of and less of. Things will look different and sound different in order to bring you more of what you most prefer. 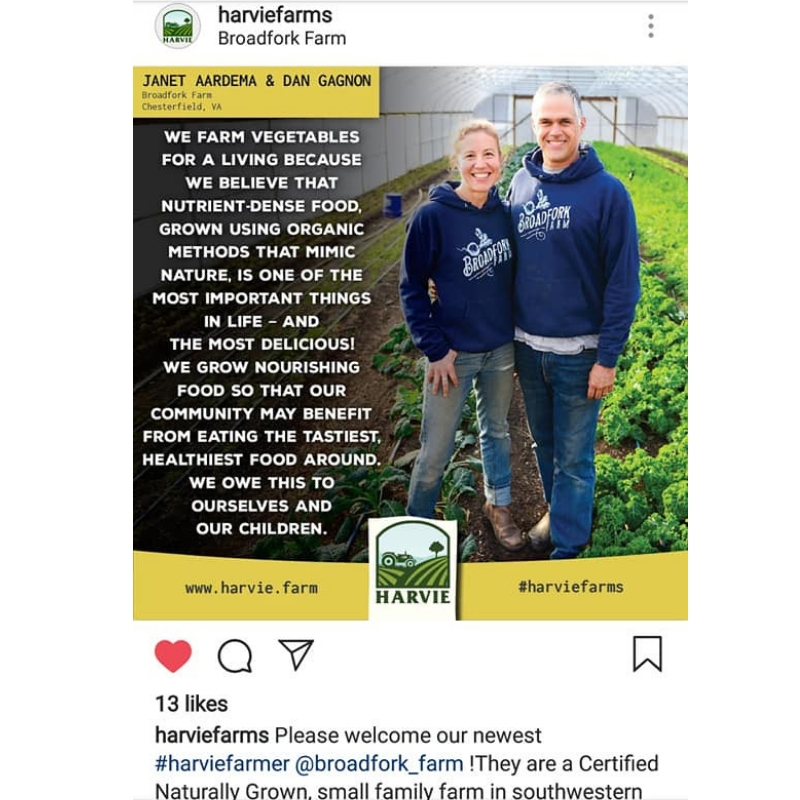 Get used to hearing the term “Harvie” but know that it is just the software/tool that allows us to harvest what you most want out of our fields (and bake in our bakery). 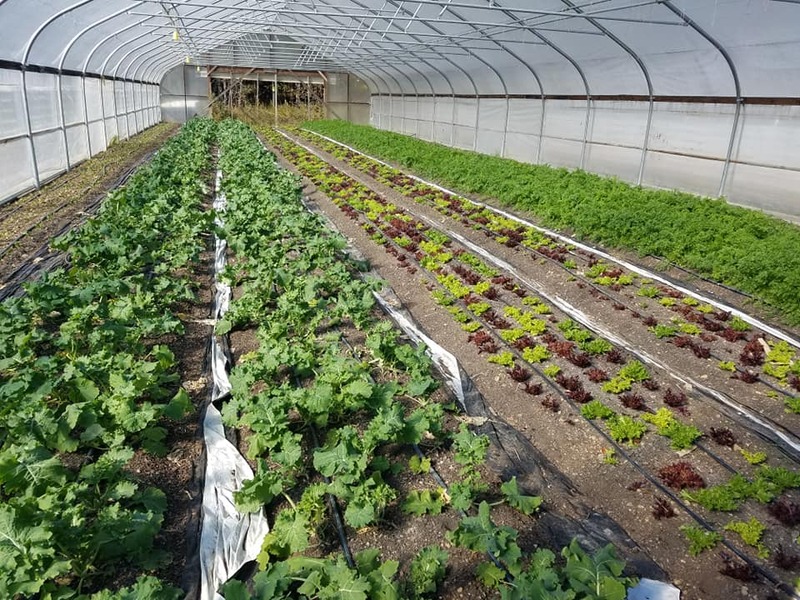 We also are now able to offer a Winter Farm Share, which starts December 8th and runs bi-weekly through April, plus a bi-weekly option for our regular/summer season (May through November). Log on to see all of the new options and sign up to be a member of our Farm Share for 2019! Over the next couple of weeks, we’re sending out a series of emails to explain exactly how the new program works. We know a lot of you are joining us in our enthusiasm! And for those of you for whom this new Farm Share isn’t right, we will still be harvesting vegetables for our Farmer’s Market booth. Our Farm Share (CSA) is the core of our farm, allowing us to know that we can stay in business year to year. Thank you for sharing in this journey with us! Sign up for our 2019 Farm Share here. Arugula, Kale, Microgreens, Radishes, Turnips, Green Peppers if you’d like them, and at St. Stephens: Carrots. Kale – We made Sweet Potato Curry with Kale this week and it was very delicious. (We get sweet potatoes from Crumptown Farm and we think you should, too!) You can also make Sweet Potato Kale Soup. Or really, just add Kale to any and all soups. 🙂 Or, make our favorite Kale with Lemon Garlic Vinaigrette Salad. Radishes – A CSA member weighed in with a delicious recipe similar to this Radish Tzatziki recipe. Serve with pork or simply pita and other veggies. Arugula – We are eating Arugula on top of Pizza this weekend, because it is amazing with the combination of crust, olive oil, sea salt, and all the other pizza toppings. Arugula, Cilantro, Dill, Hearty Greens Mix, Kale, Microgreens, Pea Shoots, Green Peppers (bullhorn shape…the last ones! ), Radishes, a few Red Tomatoes, Turnips,…and our Organic Hearth Baked Bread (Baguettes, Herb, Whole Rye, Raisin, & Seed loaves for this weekend). Anything remaining after CSA shares are distributed and our farm stand is shopped (plus the bread we bake Saturday morning)… we’ll bring on Saturday to the Farmer’s Market @ St. Stephen’s . Keep an eye on what we have available via the online farmers’ markets: FallLineFarms.com.